Historically Cefn Meiriadog – two miles up the road from St Asaph – has everything. Within its 3000 acres, it has the caves where human remains dating back 250,000 years were found. Its northern boundary is a genuine Roman Road leading from Varae (St Asaph) to Caernarfon, later used by horse drawn mail-coaches. Southerly, the River Elwy wraps its embrace, – its waters once powering corn mills. And right along the centre of Cefn Meriadog there’s the hill, Y Bryn (with its strange tales of a Giant who lived up there long ago), and views to die for. Within this compass there’s history in loads. The legend of St Meiriadog for one, then there’s the prehistoric Tyddyn Bleiddyn Cairn of 2000 BC , the medieval St Mary’s Well, Elizabethan mansions (and one or two Welsh Long-houses)… Not to mention famous bards and historians: bard Sion Tudur of Wigfair a courtier of Eizabeth 1st ; Archdeacon D.R.Thomas, Cefn’s first rector in 1864 (wrote the ‘History of the Diocese of St Asaph’); followed later in 1901 by Canon John Fisher (who wrote with S. Baring Gould ‘Lives of the British Saints’). Visitors too, Gerard Manley Hopkins and Felitia Hemans in their poems raved about the beautiful Valley of the Elwy. Henry Morton Stanley visited his mother who ran the ‘Cross Foxes’ pub in Glascoed. 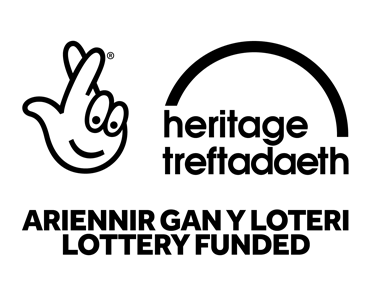 History, history – here in Cefn we talk of nothing else, there’s so much of it about! The Cefn Meiriadog Historical Society (established 1977) meets on the last Thursday of the month.